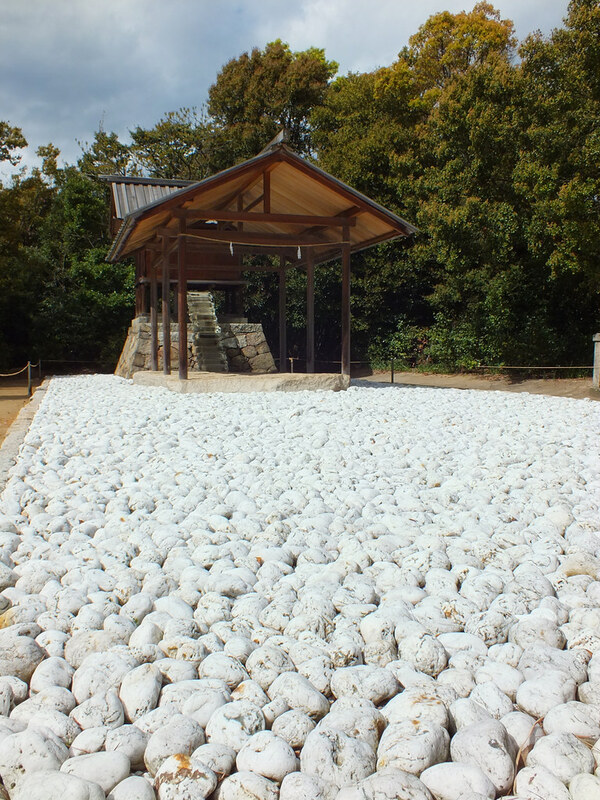 Today, let’s briefly talk about Naoshima’s Go’o Shrine. If you’ve been to Naoshima or at least have an interest in the island, I’m pretty sure that you have already heard about it, but in case you didn’t, here is some information about it. On a small hill right off the seaside in the village of Honmura, there used to be a small shrine, several centuries old (one thinks it was founded during the Muromachi Period, that is between 1338 and 1573). However, in the 20th Century, that shrine was completely abandoned and nothing more than a ruin. 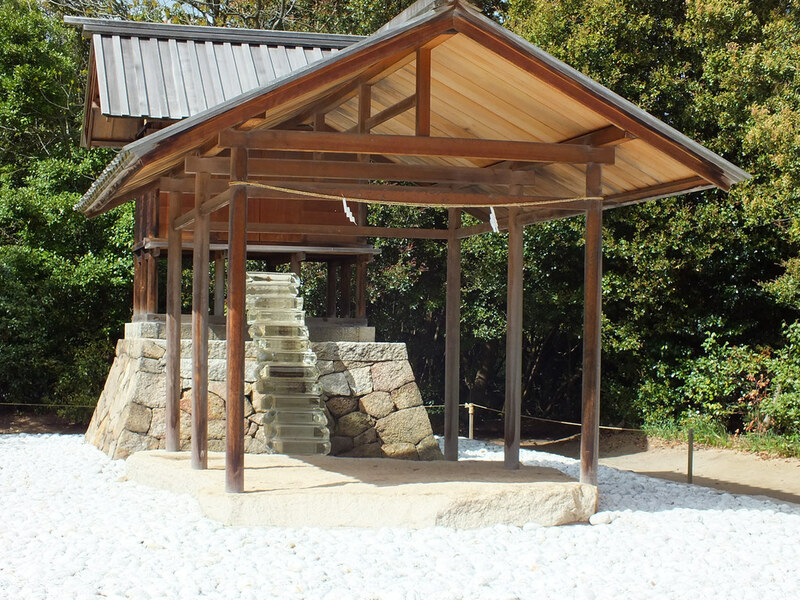 As there’s another shrine very near, maybe the latter more recent one had replaced it). 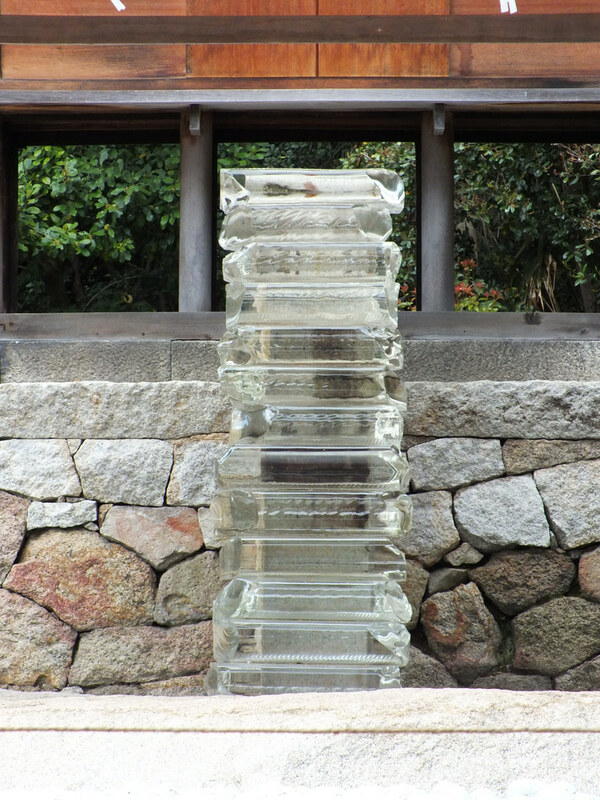 However, in 2002, as a part of the Art House Project, artist Hiroshi Sugimoto was given the task to rebuild that former shrine and turn it into a work of art. 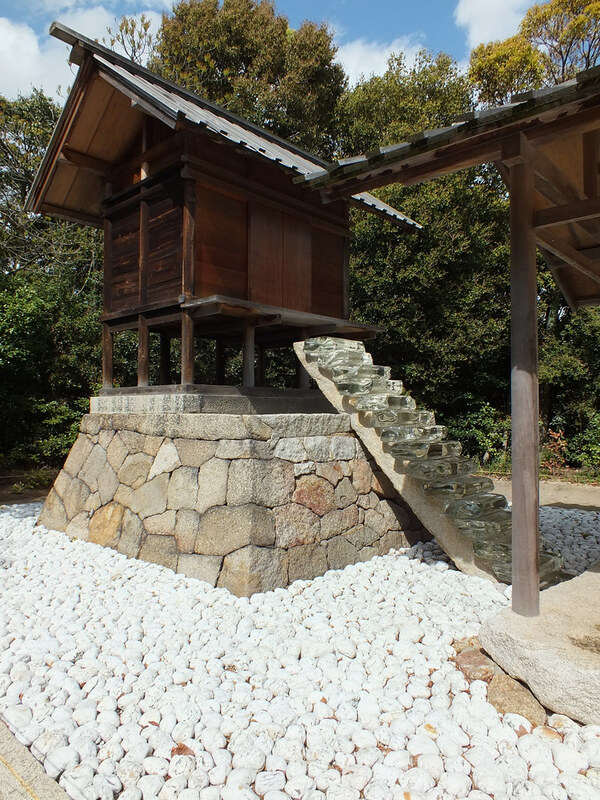 The result is a brand new shrine that is at the same time quite contemporary, but its architecture is also based on the one of the very first shrines many centuries ago. 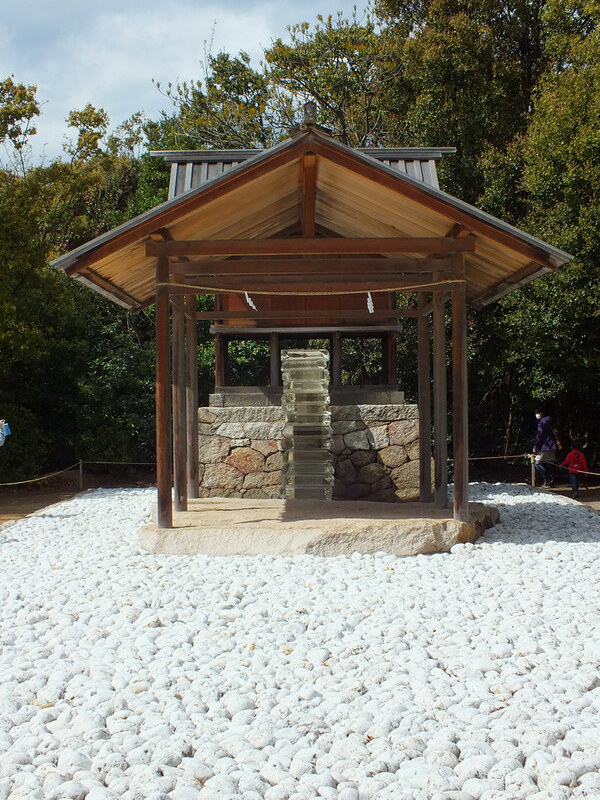 Also, while it’s usual name is Go’o Shrine, as a work of art it is called Appropriate Proportion. 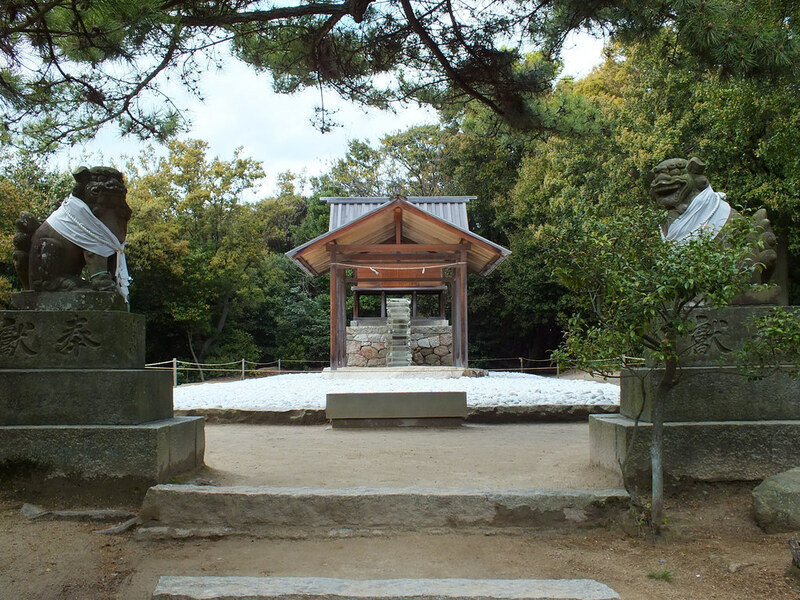 You can visit the shrine any time – even though it’s an artwork, it’s also a real genuine Shinto shrine – however, on its right side (when facing it), there is a small surprise – I won’t tell what – but it is not free of access, one needs a Art House Project ticket to enter. Of course Naoshima’s Go’o Shrine will be part of the Setouchi Triennale 2016 that will start on March 20th (mark your calendars).